Another weekend and a pile of spinach & a growing population of the cutest little pumpkins from those lovely people at Epicurean Supplies. 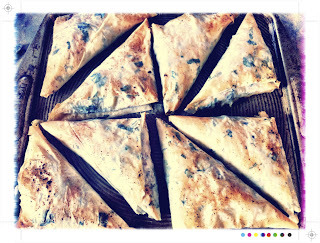 Spanikopita is a favourite, especially this one, but I wanted something a little different. I was thinking mushrooms, which I still think I may try at some point but a good friend suggested pumpkin, which also solved the problem of the ever growing population of the, albeit very cute, little pumpkins. The also add a nice roasty sweetness to the parcels. Good friend and her hubby also sent me home with a bag full of beautiful thyme, parsley, coriander and silver beet. Their garden faring a little better than my poor completely neglected one! 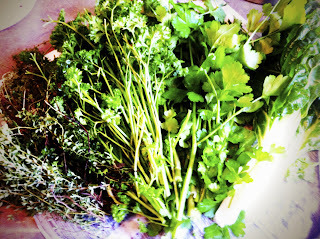 Poor garden continues to take a back seat to cooking and blogging. These little parcels will also keep in the fridge for a few days so they make for a quick tasty lunch with a little salad on the side, providing a welcome change from winter soups. Yes salad, I succumbed and bought tomatoes and cucumber. I just couldn't wait any longer for some fresh salad. The tomatoes, though not as sweet as their summer counterparts, were at least vine ripened and tasty enough to satisfy my salad cravings. 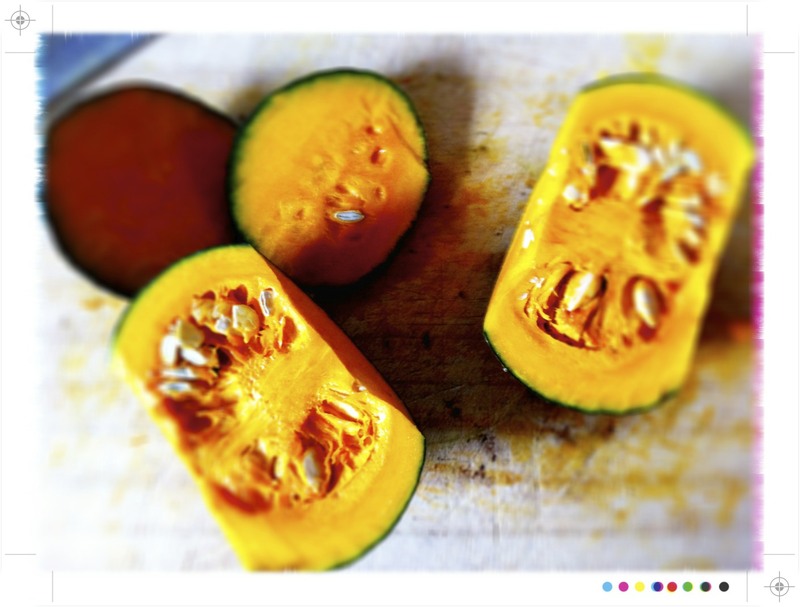 Place the pumpkin in a baking tray and coat with half the olive oil. Sprinkle with salt, pepper and a few chilli flakes. Pop in to the oven and roast for 30 minutes or until nice and roasted. Remove from the oven and allow to cool. Heat the olive oil in a large frying pan over a medium heat. Add the onions, garlic and season with a little salt. Saute for a few minutes until soft and translucent. 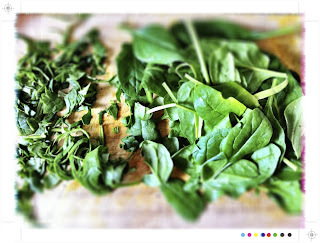 Add the spinach and season with salt and pepper. 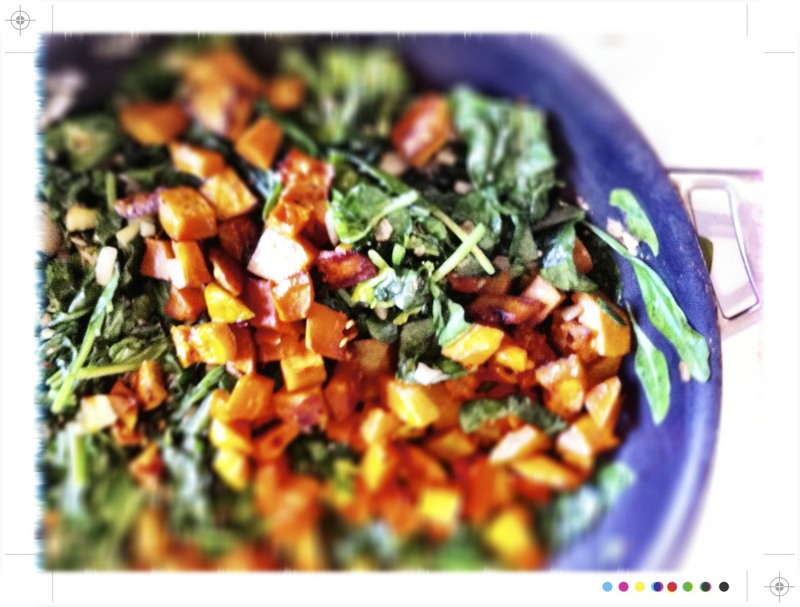 Add the nutmeg and chilli and saute until the spinach is wilted. Set the spinach aside to cool in a colander and squeeze out any excess water. 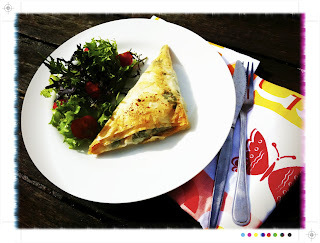 It is important to let the spinach cool to avoid soggy filo...which would be most unpleasant. In a medium bowl mix together the spinach, pumpkin, feta, coriander seeds and lemon zest. Unroll the filo and keep the filo you are not working with covered with a damp tea towel to avoid it drying out and crumbling. Take the first filo sheet and brush with melted butter. 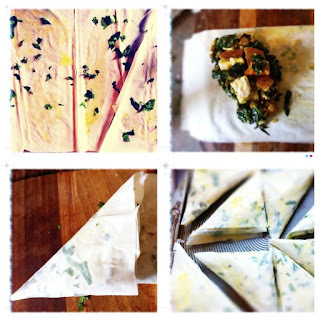 Sprinkle with a little thyme and parsley and lay another layer on top and repeat until you have 3 layers of filo. Cut the filo in half length ways. Place a 3 good tablespoons of filling at one end near one corner, fold one corner over and keep folding over until you have a neat triangular parcel. If there are any ragged ends just trim them off. Place the parcel on a baking tray and repeat until all the filling has been used up. Brush all the parcels with butter and place in the oven for 20-25 minutes or until golden and crisp. Check after 15 minutes as it will depend on your oven, mine as you may know is ancient with a somewhat broken seal! The parcels can be served warm or cold. 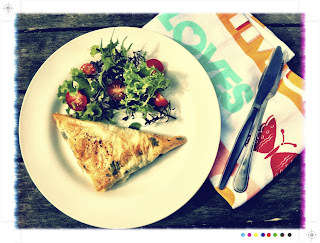 These parcels do make a quick, light but satisfying lunch. The filo, golden and crispy and flecked with the green of the herbs. 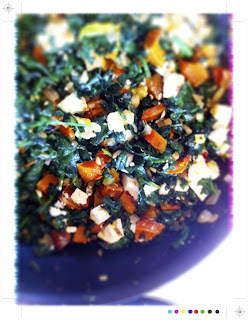 The sweetness of the pumpkin playing nicely against the minerally green spinach and the salty feta. All piqued with a little zesty freshness of the lemon zest and a little heat from the chilli. Mairi, wow this is gorgeous and something I'd really like. I have a squash ready to harvest and let's see what I can come up with. Mmm, spinach, feta and pumpkin! Some of my favorite flavors. What a marvelous recipe. Yum, my kind of food :-) +1! @Annapet Thanks Annapet, hoping you have a lovely weekend! @Alessandra Thank you Alessandra! You have a good weekend too! @peasepudding Thanks Alli, they sure are! 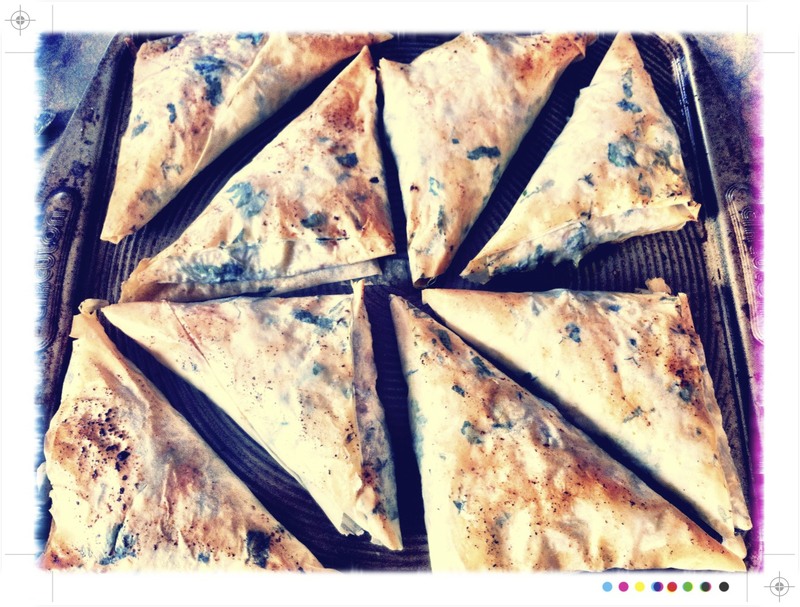 These look lovely, I always forget about how much I love anything in/on filo. I must start keeping some in the freezer!